Get the to make $2,000 from a $5,000 account! Discover – a revolutionary method that turns ordinary people into professional traders! Learn – to profit from the methods that the institutions reserve for themselves and are taught only by Geva Gazit. Practice – Real Time trading without risk! You will experience success in a place and pace that suits you 24 hours a day! 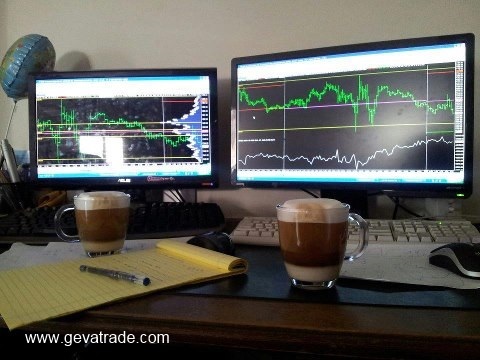 The BEST Future Trading Course– with Geva Gazit! Geva Gazit, with more than 14 years of experience, is the alternative trader to succeed in breaking through the glass ceiling and discovering the real secret to success in trading in the capital market. 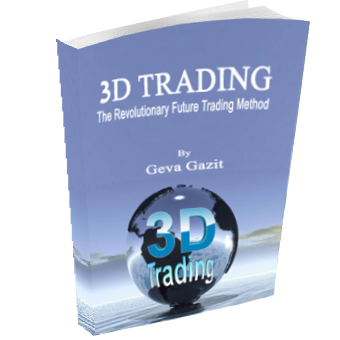 Geva specializes in Futures Trading, a three-dimensional trading developer 3D TRADING. Among the few individuals in the world who specialized in SPREAD trading on gaps and adjusted the method to the main indexs and holders of small trading account. Lesson number 1 – are exposed to an amazing world of opportunities. Lesson number 2 – Begin to trade and earn $100 a day without charts. Lesson 3 – Learn what is the strongest basis for market behavior to earn money every day. Even without technical analysis and sitting in front of the computer. Lesson number 4 – Understand the psychological price movement and how to place a winning LOSS STOP. Lesson number 5 – Building a winning trading plan, repetition and summary. Half an hour a day! That’s all it takes to succeed. And not even every day. Many want, very few do. As a serious person, you probably understand that you have to go through a route, a way to get to destinations you want. There are no shortcuts, no magic. All you need is professional knowledge, skill, learning from mistakes, improving, determination and perseverance! Start with a modest goal of $100 a day. Then, you can go up for higher goals and targets. 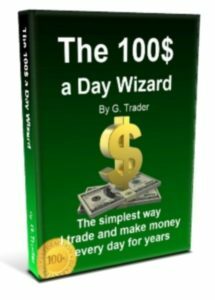 $100 per day by 20 trading days a month, that’s $2,000 a month! … and a account from only $5,000! Hence… the sky is not the limit! To be among the 1% successful traders, you must recognize in reality, enter a purview with open eyes. It is very easy to understand how to trade in the capital market. Everyone manages to profit from trading on a simulator. The real dealing in trading is mental and not technical. Professional traders understand this. Only a combination of practical practice and tools for mental dealing in trades will allow you to be one of the successful traders. And with this combination Geva Gazit is the best! Trade in the capital market and in futures contracts in particular, opens a window to a fascinating field that allows personal and economic freedom without dependence and limitation. From now you can learn and specialize in your comfort, step by step. You will find that even without previous knowledge of economics or mathematics, trading is easy to understand and implement. Learn the most powerful module of the world's largest investment house trade. Clear rules for how and when to enter a trade, how to manage it, and how to get out without loss (almost always). Unique techniques for protection from losses and videos demonstrations. Concentration video tutorials in convenient format for unlimited viewing. You can repeat as many lessons as you like, it's open to you for life. Convenience - learning from anywhere, without travel, traffic jams, parking search and waste of time. Including a series of trade books, questionnaires to examine the understanding of the knowledge and additional material. Trade whenever convenient - trading is active 24 hours a day. Start with a limited trading account from only $3,000. A short sitting in front of the computer - half an hour / hour a day. Discover how a professional trader makes decisions and trades with real money. In fact you will get all the experience that has been learned for years on a silver tray. Hundreds of video exemplification of transactions and full explanations regarding their management. Support all the way, you are not alone. You will practice real-time trading on a professional trading system. From now on you can trade risk-free until you reach a high level of skill and only after you understand that you understand, you will switch to real money trading. You can learn a profession at the lowest investment in the shortest possible time. Learn once and earn for a lifetime! Question: Is this course also suitable for someone who has no experience in the capital markets? Answer: Of course. Anyone who wants to learn the tools that will enable him to generate a regular source of income independent of anyone or anything can learn and understand the course materials. Question: What can the course contribute to someone who has trading experience? Answer: You’ll be amazed at what this course can do for you. During the course you will learn to identify the strongest pillars of the behavior of the market’s movements. The tools you’ll receive will enable you to understand how Geva Gazit figures out the indicators he publishes every morning, and which manage to yield profits of hundreds of dollars every day, steadily and safely. Question: How is this training different than other courses? Answer: This is not just another course. This is training with personal mentoring with content and at a level that is unlike any course you’ve seen until now. In this series of lessons and video tutorials Geva Gazit will share with you the techniques he has developed, techniques that he has been using in his own everyday trading for years, and which helped him to succeed and become one of the most successful future contracts traders. You will receive information that is fundamentally different than what you know today. The level of accessibility, the subject matter and the real-time examples using real money will amaze you and help you understand that you too can succeed in trading and earn money on a daily basis. Not only can you review the material whenever and as often as you like, you will have access to constant support and personal guidance all along the way. You are not doing this alone! Question: Will there be support and help even after I finish the course? Answer: Absolutely. Geva and the support team will personally be at your service to answer any question you have and will do everything they can to help you succeed. You will also be invited to join an exclusive group of traders just like you, and all your questions will be answered. Every morning Geva publishes trade indicators, articles and examples of positions that he has used in trading with real money. Question: I see, so how can I register for the course and what do I do after I pay? Answer: The registration process is very simple. Click Trading Courses Shop to choose the Course that suits you. Once you click “Place order” and after the payment has been confirmed, you will receive an email with a link to the course site, where you’ll complete the registration process and receive your username and password. You will immediately have access to the lessons and training sessions. Question: How much will I have to invest and how much will it cost to start, and how risky is the actual trading? Answer: First of all, you don’t have to open a trading account before you understand what you’re doing and how to trade properly. You will receive a real trading software for practicing, but the money will be demo. There is no reason to practice and take risks with real money before you have reached the proper professional level. Only after you’re sure that you understand what you’re doing and you are earning consistently using the methodology and are making successful transactions over and over again, and not by accident, you can consider opening an account with real money. What about the risk with real money afterward? You’ll need $3,000 to open an account (Geva’s recommendation is $5,000), and even if you make all the stupidest mistakes or there is a disaster in the market, the most you can lose is $2,000. The brokerage firm will block your account from trading if the balance reaches $1,000. But that will only happen if you trade irresponsibly and without any self-discipline whatsoever. There is simply no reason for you to get yourself into such a situation. Still, would such a situation be a catastrophe that would change your life with no way of fixing the situation? Of course not. In fact, I don’t know any other profession in which you can earn so much money in such a short time in just a few hours (or less) each day, a small investment, an education, and minimal commitment and risk. 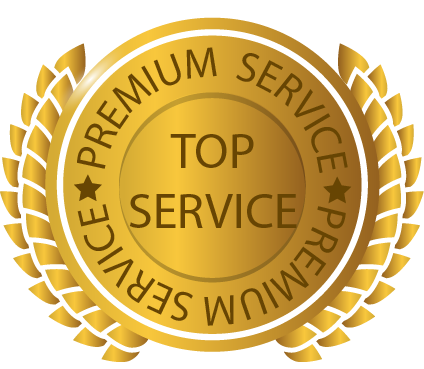 There is no other professional field in which you can generate unlimited income with just a few mouse-clicks, independent of anyone but yourself. If you know of such a field, I would be happy to hear about it. Question: Now I have a question for you. How important is it to you to know how to earn money in the capital markets? Answer: If it’s really important to you and you really want to learn tools that you can use to trade in the capital market and earn money independent of anyone else, anytime and anywhere, and if you think that you too deserve to earn much more, and that your family and children deserve more freedom and more possibilities, sign up for this course right now! Why waste another moment mulling it over and trying to decide? * A study material that can be easily implemented and practiced in real time with a simple professional trading system. ** You will receive personal feedback for each transaction and you will begin to see improved results every day. This course is suitable for beginners and advanced traders who want to finally make a breakthrough in trading! To be among of the 1% successful traders, you must recognize in reality. Be connected to the ground and enter a purview with open eyes. Learn from a trader who lives and breathes trading every day for years! I have set a goal to train and transfer as many people as possible the information that I have reached personal and economic freedom and to enable to achieve happiness, abundance and economic independence. For this, I have created for you the world’s most comprehensive training course for traders in the capital market and in futures contracts in particular. Trading futures and options involves the risk of loss. Please consider carefully whether futures or options are appropriate to your financial situation. Only risk capital should be used when trading future.